GENEVA, Switzerland, February 28, 2014/African Press Organization (APO)/ -- IOM has released updated profiles of 54 displacement sites in Bangui, CAR. Due to escalating violence in CAR, there are now approximately 276,500 displacedpeople (IDPs) living in 62 displacement sites in Bangui. In coordination with partners, IOM rolled out its Displacement Tracking Matrix in December to assess and address urgent needs. The tool has allowed IOM to create profiles to provide an overview of the situation at each site. Profiles provide in-depth information on health, shelter, security, and other humanitarian needs. The primary need identified at the majority of the sites is food. Primary needs at other displacement sites include non-food items, sanitation, and security. Data for the profiles is gathered through IOM's “site facilitators” in Bangui. The 47 site facilitators regularly visit each displacement site to interview IDPs about the needs at their site. IOM compiles and shares this information with humanitarian actors in order to better inform the humanitarian response. Populations at the displacement sites change continually. Many IDPs sleep at the sites at night and return to their homes during the day. The number of sites changes depending on the population's perception of the security situation in Bangui. Over 50 displacement sites shelter members of the majority (Christian) population. There are over five sites that predominantly shelter members of the Muslim population and ethnic minorities. Most of these sites are at mosques and Islamic schools. •	No longer hearing gunshots at night (60per cent). Details of IOM's second return intention survey conducted in the camps can be found here. IOM is registering IDPs this week at the Military Airport Transit Site and the Central Mosque Site. It has now has provided evacuation assistance to a total of 5,512 third country nationals, from eight different countries, the majority from Chad (4,607). The other nationalities evacuated are: Mali (534), Niger (222), Sudan (116), Senegal (24), Japan (5), Pakistan (2) and Burkina Faso (2). The last IOM evacuation charter was run on 9 February. IOM has not received funding for additional flights but has sent a few small groups of third country nationals on commercial flights (to Niger, Pakistan and Japan). On 22 February IOM facilitated an evacuation charter flight sponsored by the President of Niger. It evacuated a total of 89 third country nationals, including women and children, from Niger (59), Mali (26) and Senegal (4) to Niger. 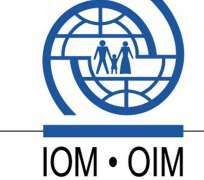 IOM staff in Niger will organize onward transport for the Malians and Senegalese to their respective countries.